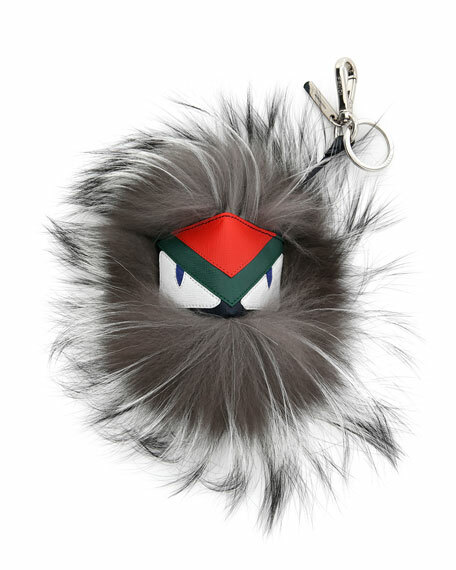 Fendi charm in silver dyed fox fur (Finland) with calf leather monster face. Please note: Bag, shown, is sold separately. For in-store inquiries, use sku #181341.